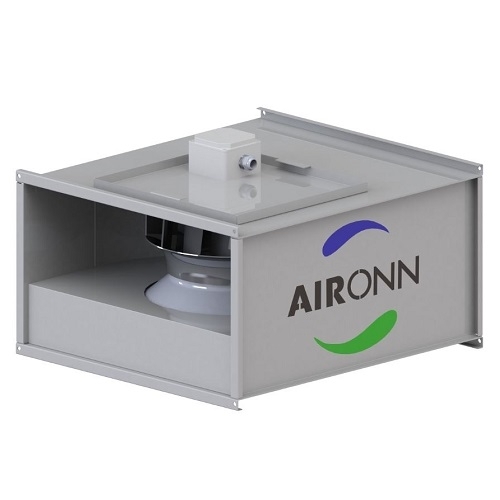 Fans in Aironn AIR-DKF-B Fan Series are suitable to operate at maximum 55 °C. In order for you to make a selection to meet your need, 8 different models are available. It has high performance due to the backward inclined wheel with sparse fan blades. Folding motor cover provides easy assembly during operation. Fan body is made of high quality galvanized steel. The fan flanges are manufactured by bending the body so they are self-flanged. Backward inclined wheels with sparse fan blades used in DKF-B series are made of galvanized steel. The wheels are statically and dynamically balanced in compliance with ISO 1940/1-2003. B insulation class motor is inside the air flow. Micro thermostat protection against high temperature is optional. IP 55 electric terminal box made of plastic is standard.